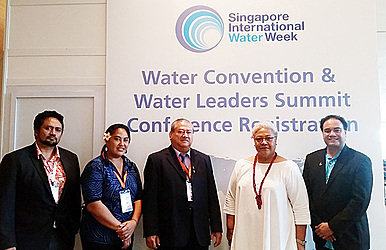 A high-level delegation from Samoa is back in the country with many helpful ideas to improve the water sector after World Water Leaders Summit and Water Convention in Singapore last week. The delegation was led by Deputy Prime Minister, Fiame Naomi Mataafa, and the Minister of Works, Transport and Infrastructure, Papali’itele Niko Lee Hang. 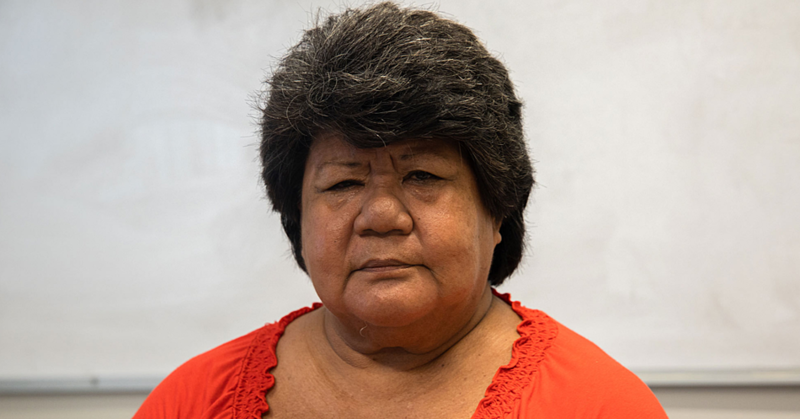 Other members of the delegation included Chief Executive Officer of the M.W.T.I Su’a Poumulinuku Onesemo, Managing Director of the Samoa Water Authority Seugamaalii Jammie Saena, and the A.C.E.O of the Water Resources Division M.N.R.E, Asuao Malaki Iakopo. The two global events recognized the challenges brought about by the quick urban growth across the world. It also looked into the importance for world leaders to take a holistic approach in ensuring community access to good quality water and basic sanitation to achieve sustainable growth within these growing municipalities. The forums presented an exclusive high-level gathering of global government regulators and policy think-tanks, as well as leading water industry experts to discuss solutions to pressing water issues. International experts shared their solutions, practical experiences, and best practices on efficient water and wastewater management, creating more liveable, resilient and sustainable urban landscapes. According to the World Economic Forum, “water crisis” is the most important issue for urban cities in the 21st Century, thus requiring the water agenda to be a priority in the global as well as national political landscapes. The government of Samoa with the support of the European Union and other development partners, have invested extensively in the Water and Sanitation Sector, through watershed protection, as well as the upgrade of water supply reticulation, waste water treatment, and storm water drainage infrastructure within the Apia Urban Area. Challenges still persist however, as unsustainable land use development extends further upland into the critical catchment areas, thus impacting on the available water sources catering for much of the town’s water supply needs. In addition, collaboration with other sectors such as Agriculture and Energy needs to be strengthened together with the effective involvement of the private sector, landowners and community leaders, in Integrated Water Resources Management, from Ridge to Reef. “We need to raise the water agenda further in Samoa,” said Fiame, who is also the Minister of Natural Resources and Environment (M.N.R.E). “Water is a precious commodity to all of us. I believe that water is priceless but the delivery of services to get the resource into homes and businesses costs. The Summit also presented an opportunity for the government to further talks with the government of Singapore, on how to develop the technical assistance provided by the Singapore Cooperation Programme to include water resources and water supply management trainings for the Water and Sanitation Sector of Samoa.